CRYSTAL LAKE, Ill. (WLS) -- A young man was found dead in Canterbury Park in northwest suburban Crystal Lake. 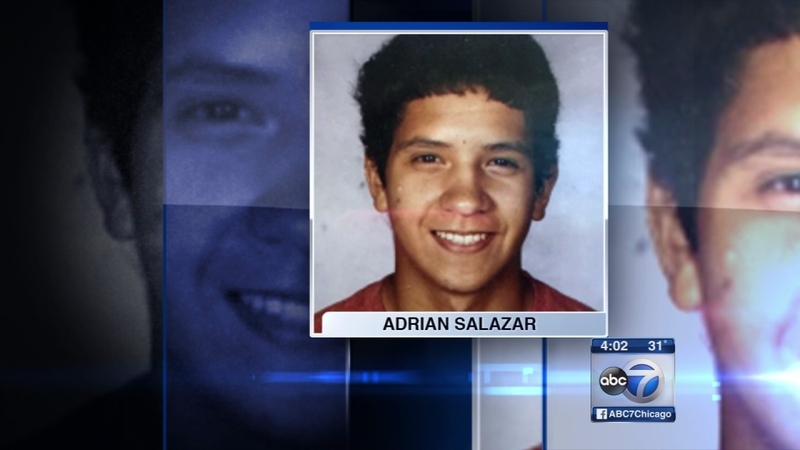 The McHenry County Coroner's Office identified the deceased as Adrian F. Salazar, 18, of Crystal Lake. Police responded to a report of a person lying dead on the ground in the 800-block of Canterbury Drive with a gun nearby. The park is located near an elementary school. Officers found Salazar's body around 4:20 p.m. Monday. They said there was no threat to public safety and no students were injured. Investigators are looking into the cause of death. An autopsy is scheduled for Tuesday. Police had been looking for Salazar since March 2. Salazar was last seen leaving his home on the evening of March 1. Authorities said he may have been carrying a gun and in need of assistance. They also said the 18-year-old made "despondent" posts on social media. Police had no information indicating he was a danger to the public. Crystal Lake schools in District 47 and District 155 were put on soft lockdown during the search as a precaution. The security measure was lifted at the end of the school day on March 2.